Sorry for the lack of update recently, just been so busy with loads of mini uni projects, including London Live and GCSE exams back at my old school and catching up on uni coursework and lectures. The missed lectures and course were caused by Martins absence and other missed lectures due to the snow. To catch these up missing lectures we have been pulling extra sessions on day’s we normally have free, and where i would normally update my blog. This weekend I have been working again with Ben Blake and Sarah Louise Ings on her latest Music Video. This weekend has been a strange one, and once again i wasn’t given any information about the director and the musicians vision until the day. This then again put me on the spot to come up with an adaptable lighting design thats sticks with the vision and looks good on camera. I’m happy with the end result and am now waiting for them to edit the video and when its released I will post a few clips on here. 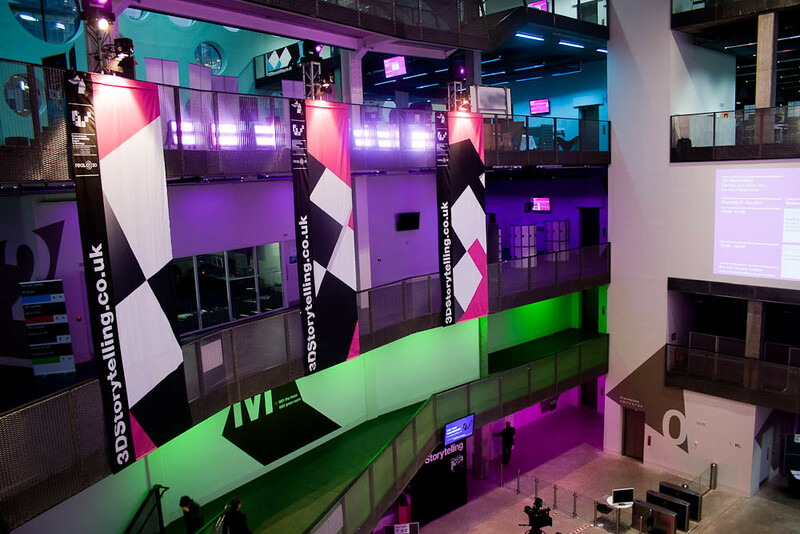 Over the last week I have had the opportunity to work on the world’s first 3D Storytelling Conference at Ravensbourne. The first couple of day’s I was just assisting with the rigging and gel’ing of over 300 lights through out the building. 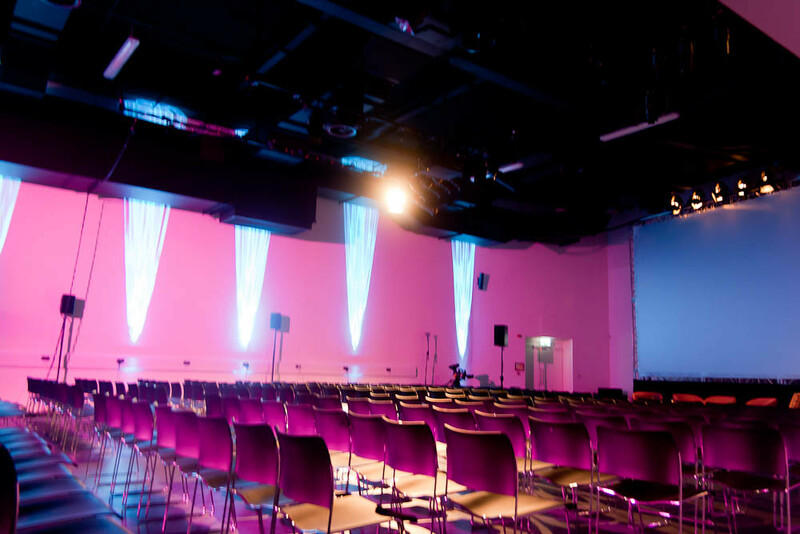 The design reason behind having to gel so many lights was to colour code each floor with the Conferences colour scheme, and I’m glad to say the end result was worth it, and the building looked amazing as you can see from the picture on the right. Today and Yesterday, I was asked to help out on the hospitality side of the event, providing assistance to delegates and generally keeping the event running smoothly. Yesterday started off as a very cold morning stood in North Greenwich Tube station, in just a T-Shirt, providing directions towards Ravensbourne. The day got slowly better, as I came in after about 2 hours in the cold, to provide Wi-Fi Assistance up on the 4th floor. This new role gave me a chance to learn more about the Ravensbourne network and how to troubleshoot it’s problems on mac and windows. Today was a bit better, and defiantly a lot warmer, started out in the Walker space as one of the 4 Hospitality team in there making sure the audience were in and out at the correct times as well as providing general assistance to lost delegates. Working in the Walker Space had a huge advantage over other locations as it meant I could see all the fabulous 3D Content that was on show and see how it was being used to portray released and up and coming stories. The walker space is pictured to the right. At the end of today, as the delegates were networking over in Union Square, we started the de-rig and had the huge task of turning Ravensbourne back into a working uni.